In recent years, spray paints have been developed for use on plastics. Before this development, the finish on spray-painted plastics would crack, chip and peel. When combined with proper sanding and painting primer, plastic spray paints can last for years after application. Although most plastic spray paints come with a glossy finish, they can also be purchased in a matte or eggshell finish. Learning how to paint plastic with spray paint helps you to get started with this project. 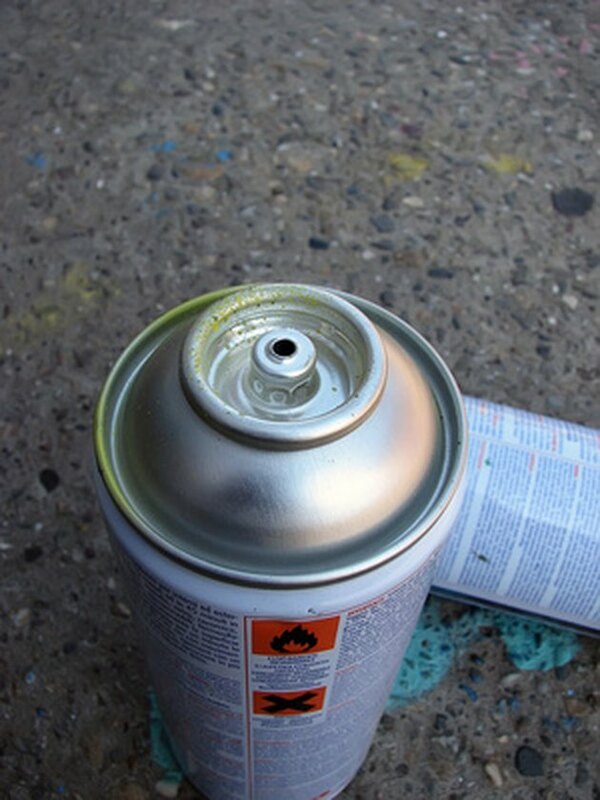 Spray paint can be used on plastics. Mix a small amount of dish detergent in a bucket of warm water. Use the water and a soft rag to clean the surface of the plastic. Rinse the plastic with clean water. Dry the plastic with a clean cloth. Sand the plastic lightly with fine grit sandpaper. Use 220-grit sandpaper to lightly scuff the surface of the plastic. Do not oversand the plastic. Wipe away the sanding dust from the plastic with a damp rag. Let the plastic dry completely. Place the plastic on a drop cloth. Work in a ventilated area. Prime the plastic with a spray paint primer. Hold the can 12 inches above the plastic and apply the primer in a thin layer. Permit the primer to dry per manufacturer directions. Choose a color and an eggshell or matte finish in a spray paint designed for plastic. Hold the spray paint can 12 inches above the plastic. Lightly coat the plastic with the paint. Apply three to five thin layers of paint on the plastic. Allow each layer to dry completely before applying the next layer. Painting the plastic in thin layers helps to prevent paint streaks in the finished product. Let the final layer of paint dry for three days before heavy use. Cadence Johansen is a freelance writer who enjoys writing about travel, marriage, family relationships, caregiver support, home improvement and money. Johansen has been writing professionally since 2008. She holds a master's degree in family studies from Utah State University. Can You Paint Waterproof Wall Panels? What Type of Paint Will Cover a Plastic Picture Frame?